The Full Moon for June's 2017 will be on the early morning on June 9th in the United States and later in the afternoon for Europe. The New Moon will fall later in the month on June 24th. For exact Full Moon times across the world including your local time see below. 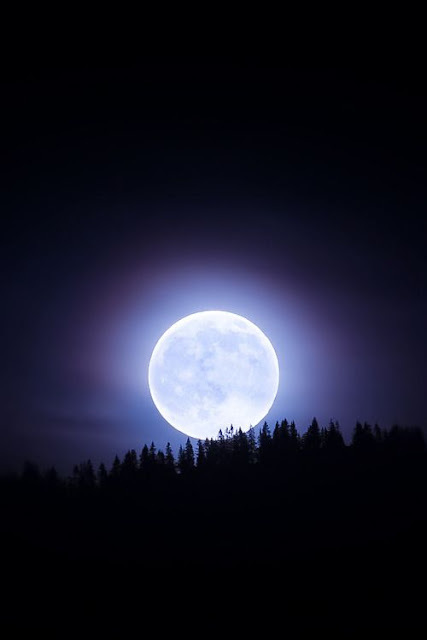 For many American Indian tribes June's Full Moon is commonly known as the Strawberry Full Moon or Big Leaf Moon. For the Omaha Indians it's refered to as "Moon when the buffalo bulls hunt the cows" and in the Celtic Calendar it's known as the Oak Moon"